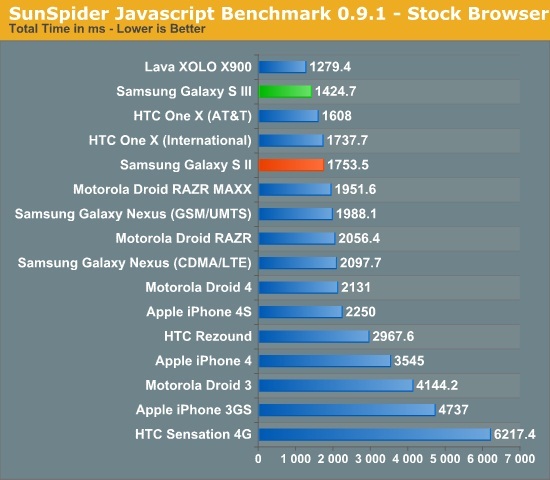 The latest flagship device by Samsung, the Galaxy S III has been benchmarked by AnandTech and it’s no surprise that it beats almost every smartphone in the business. 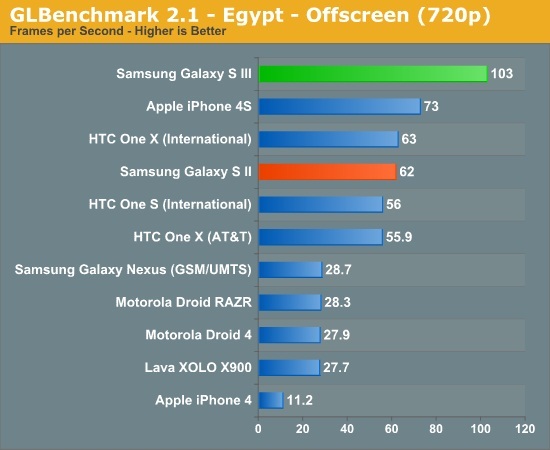 The Galaxy S III has Samsung’s new Exynos 4 Quad SoC which is an upgrade of the dual-core Exynos from the Galaxy S II. It is built on a 32nm high-k + metal gate LP process and the new Exynos integrates four ARM Cortex A9s running at up to 1.4GHz (200MHz minimum clock). 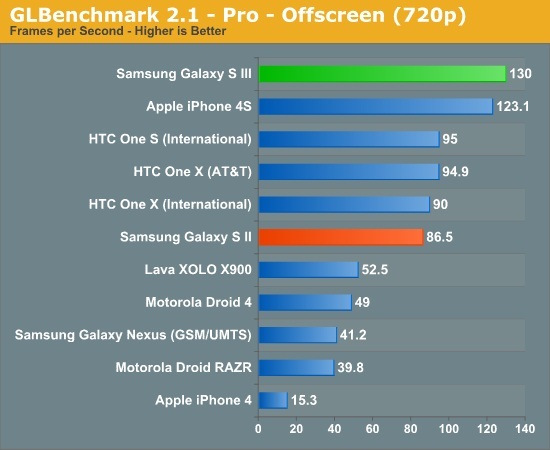 There is no change in the GPU as it is still ARM’s Mali-400/MP4, but there might be slight increase in clock speeds. The memory controller is also the same dual-channel LPDDR2 and all this combined is said to provide enough performance to give Nvidia’s Tegra 3 a run for its money. 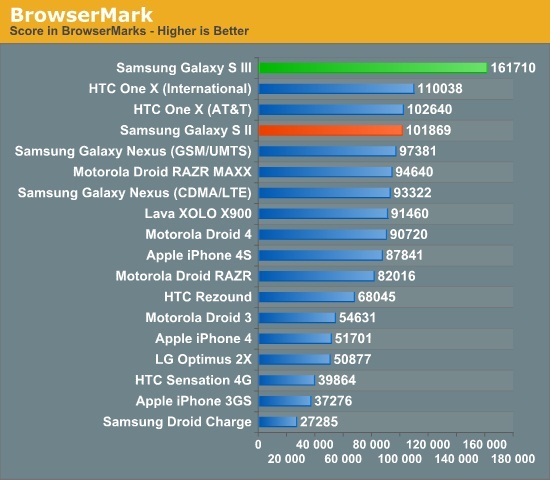 From the results you can see the S III beats the likes of the HTC One X and even the iPhone 4S. 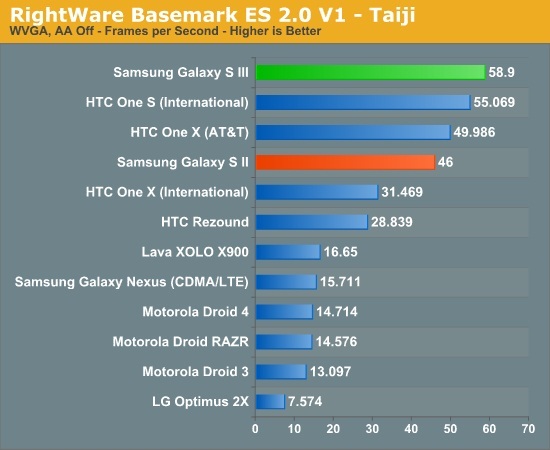 This goes on to prove that Samsung has put in a lot into the smartphone, and it should one of the hottest smartphones this year. 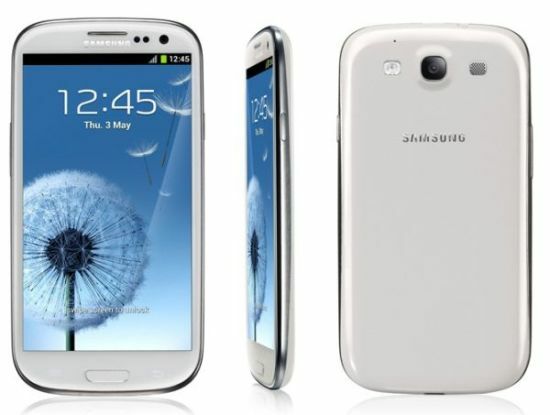 Samsung planning a mobile acquisition, but it is not RIM!